Massive Discussion: Has @Disney Helped or Hurt @clubpenguin? Back in 2007, Disney purchased Club Penguin for a total of $700 million dollars, which after Brexit (seriously, why did we leave the EU? ), is about about £511,869,897.30. As time has progressed, many players have been complaining about many of the changes which Disney have made. From campaigns to bring “old Club Penguin” to “protests” and “riots” on the island of Club Penguin, it is time to ask the question. Was leaving the EU a good thing to do? Has Disney hurt or helped Club Penguin? This question is very opinion based and in this post, I will be giving my opinion. Well, first thing’s first, how many of us would actually be here if Disney did not purchase Club Penguin? Disney has already been a well-known company throughout the world and at the time and when Disney purchased the game, there were lots of advertisements for it, from Club Penguin commercials to Miniclip. Miniclip was (and probably still is) a popular gaming website which partnered with Club Penguin to bring millions of players to our island. There were times when the entire website was Club Penguin themed! This was such an achievement and I doubt it would have happened without the help of Disney. Surprisingly, there is not a single trace of Miniclip’s partnership with Club Penguin left. Miniclip has completely removed the game from their website and I couldn’t even find a page about this on the Club Penguin Wiki. I’ll come back to this point in a bit. One of the main advantages for having Disney partnered with Club Penguin was merchandise. Like they did with the Star Wars franchise, Disney has created loads of products relating to the game. From penguins to puffles to trading cards, you name it, it probably happened. It helped that Disney had a whole chain of stores which they were sold in. New Horizons, the creators of the game, had no experience in producing merchandise. In 2006 (before Disney bought the game), the merchandise was limited to an online store which simply sold T-Shirts and puffle plushes. Suddenly when Disney bought the game, they could create the merchandise of our dreams. The year after being purchased by Disney, merchandise immediately found its way into stores. Disney had produced figures, penguin plushes, playsets and that was only the beginning. How does this relate to our original question? Firstly, there is no way Club Penguin would have managed to create this without the help of Disney. But more importantly, this was a massive boost for Club Penguin. It generated a lot of revenue and probably encouraged a lot of players to look up Club Penguin and sign up, like the Nintendo DS games did for me! Without Disney, this would not have happened. Unfortunately, 2012 ended all of the merchandise. The only survivor were membership cards, which were very recently taken off store’s shelves too. So, what’s the problem then? With everything I’ve said, surely both Disney and the players are happy? Well, not quite, for both sides. Unfortunately, Club Penguin did not meet the targets which they promised Disney that they would achieve by 2009. This cost the game $350 mil lion, which instantly halved the price of the game. But that’s not what I want to focus on. Why do the players hate Disney? After reading a post by Saraapril stated, “Disney! STOP destroying Club Penguin!”, I think that I can conclude it’s due to the “takeovers” hosted by Disney. This is when the party on the island is something used to advertise a Disney franchise (often a film) such as the Frozen Takeover or the recent Zootopia Takeover. Whilst a few of these takeovers every year are acceptable by the community, they appear much to often for our liking. Surprisingly, the post by Saraapril was made in 2012 when there weren’t so many takeovers. Imagine what Saraapril would think now! So, what is the difference between a “party” and a “takeover”? Well, a party is something like the “Halloween Party” or the “Holiday Party”. These generally tend to bring a lot more enjoyment to the community, whereas an event that is used to advertise a Disney film is hated. Bear in mind that there have been some takeovers which the community really enjoyed, such as the Star Wars takeover, but in general, it is something that happens far too often. Created by King Flurry and used under the Copyright, Designs and Patent Act. years, Club Penguin has been owned by Disney. I believe that the reason Disney is disliked is due to the dramatic changes that have been made. From the lay-offs to forcing former moderators to stop communicating with the community except for places such as the blog, it all adds up. Something that matters a lot to me is that Disney has seemed to reduce the target audience of Club Penguin from 6-14 to 6-12. Over time, Disney has become more and more unpopular with Club Penguin. Going back to the point about Miniclip, Club Penguin is definitely going downhill and Disney is partly to blame. 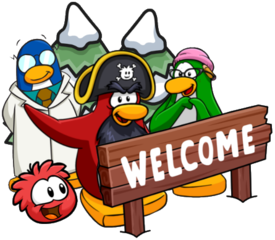 Another belief by the community, and pretty much everyone you ask, is that Lane Merrifield (Billybob) was a much better leader of the Club Penguin team than Spike Hike. Right now, I’m considering whether or not to call this an opinion or a fact. Let’s go with a fact. Either way, he left at the end of 2012 and I doubt it’s a coincidence “The Downfall” began in 2013 according to the image on the left. Spike Hike is in charge of mobile games for Disney, so I feel they are both partly to blame. Before I conclude this post, I want to talk about one thing which is Project Super Secret. A few weeks ago, I recently posted a theory that Disney stopped creating video games because they wanted to focus more of their time into developing Project Super Secret. I used some of the things that Spike Hike said as evidence and my theory even got into the Metro. You can read the post by clicking here. I also made a post explaining when some of the Project Super Secret development began, which you can read by clicking here. The answer was 2013 for planning, but 2014 for development. Okay, let’s be serious. If Disney had given up on Club Penguin, they almost certainly wouldn’t be investing so much time into making the island 3D. Once Project Super Secret fully launches in 2017, I doubt the game will be closing for several years. I mean, they’ve invested years of time and development into it so why would they just close it? It makes no sense. I do hope that Disney will sell Club Penguin when they want to get rid of it, not close it down. I’ve written a lot on Project Super Secret, and you can read more by clicking here. 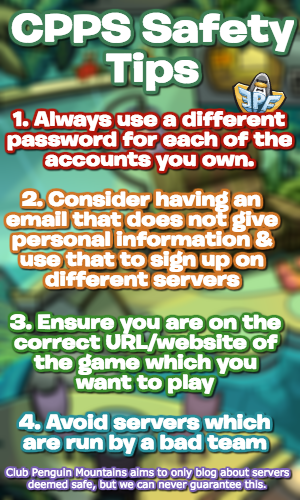 I would just like to give a massive thank you to Beefypenguin9 who helped a lot with the information for this post. Also, thank you for making it this far! Make sure to comment what you think as I do want to make another post about this topic in the near future. There is a lot more which can be said and I would appreciate you input! Phew, this post took just over one and a half hours to create. I apologise for not posting much this week but I have a series which will make me post every single day next month! Hopefully this long post makes up for it. Also, how did you like this post layout? I do plan to keep it this way for all discussions but tell me if you like it!